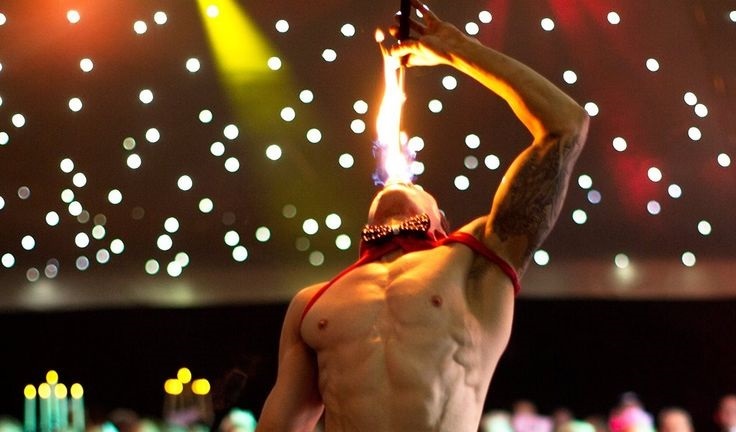 A tantalising fire performer and angle grinder performer, Victoria has consistently performed around the globe at the most exclusive events worldwide. 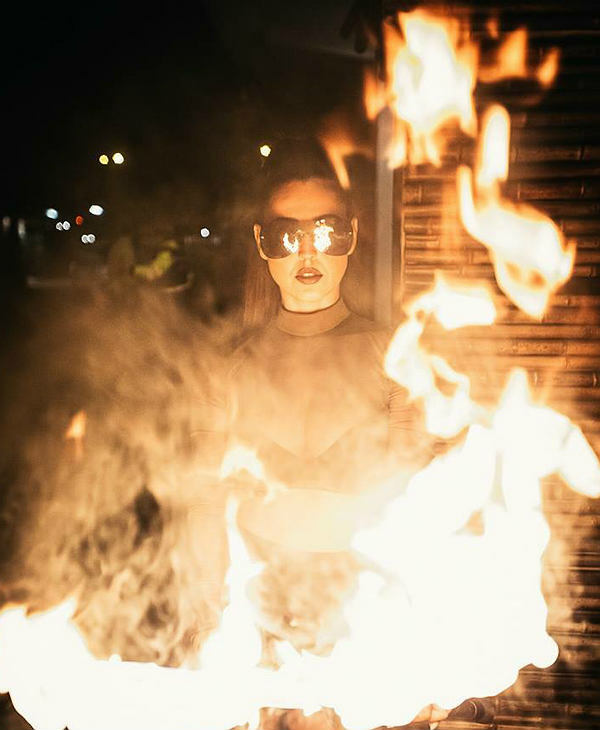 Victoria has trained professionally as a dancer at The Urdang Academy, one of the UK’s most prestigious training grounds for dancers and the unique amalgamation of this training, combined with advanced fire skills will leave any crowd electrified. 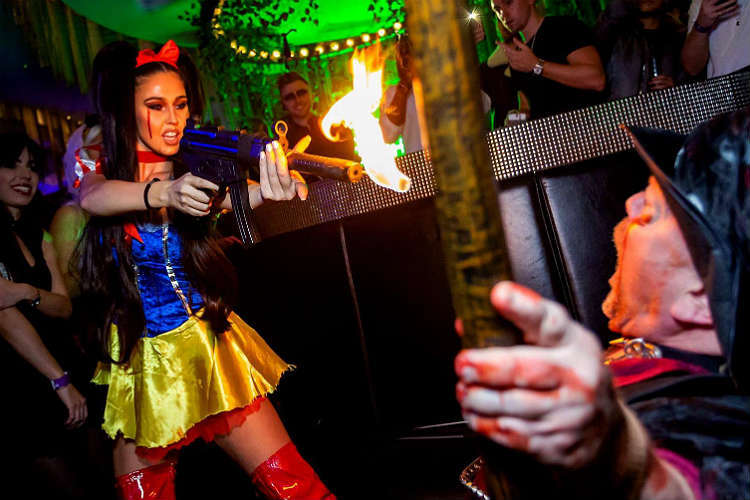 Victoria’s sensational fire shows can be performed indoors or outdoors and can be designed as ambient freestyle fire sets or choreographed fire shows. Victoria has an incredibly explosive team behind her if a Fire Performance Team is required. With mesmerising and unforgettable fire performances, Victoria’s look and talent will set the house on fire! Victoria’s fire performance is available to book for private parties, arena shows, award ceremonies and club shows. 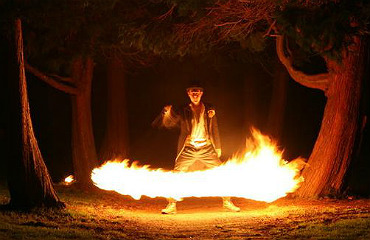 Fire performances also work extremely well as a meet and greet to give your guests an initial wow factor! Ambient fire is also a way to provide something spectacular and memorable throughout the evening. 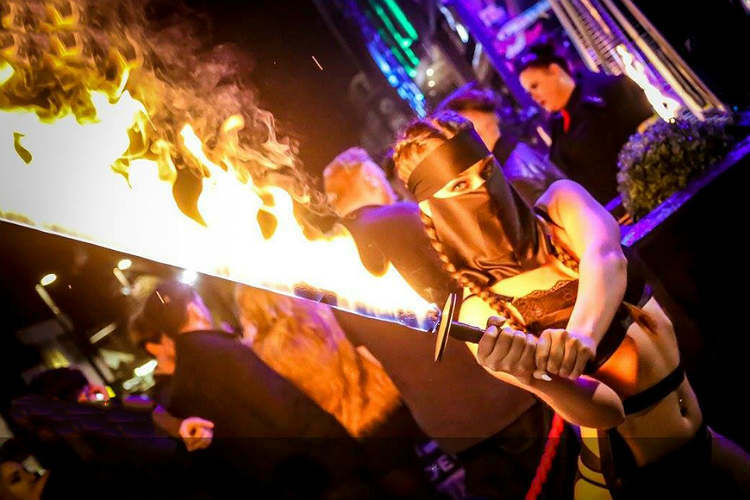 With skills ranging from body burning, fire eating and fire vapour tricks for smaller venues, to huge fire effects for larger spaces, Victoria’s fire show can be tailored to suit any event or party. Victoria uses a variety of equipment and techniques during a fire performance such as the intimate art of Fire Eating, and sensual Body Burning to Vapor Tricks and Fire Breathing. She can perform with Fire Sticks, Fire Palms, Fire Gun, Fire Orb, Fire Fans, Fire Swords, Fire Hula Hoop, Fire Canes, Sparkle FX and Lyco Swords and can also incorporate angle grinding. Her angle grinding shows create a dazzling impact for your event with sparks hypnotically flying everywhere. Moreover Victoria’s angle grinding act juxtaposes femininity with the thrilling ‘danger’ of the cascading sparks. 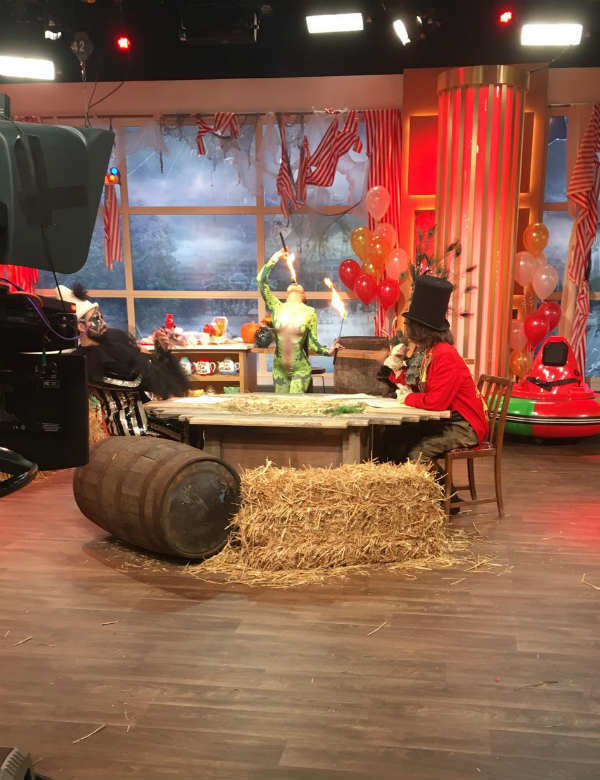 Victoria can create bespoke fire performances for any theme. With over 100 costumes ranging from rhinestone catsuits to risqué lingerie, Victoria can construct incredible tailored costumes for any event. 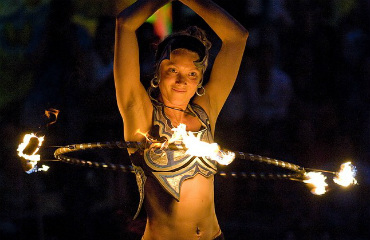 Each fire show varies between 5 – 10 minutes, but will depend on the number of fire performers booked. Shows can be extended or shortened to accommodate the client’s specific requirements including meet and greets and freestyle atmospheric fire performance sets. 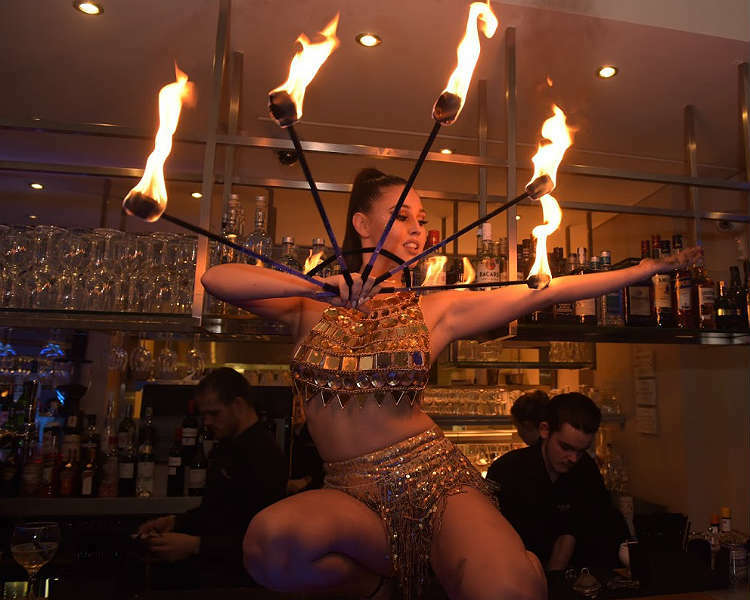 ★ The fire performances also work extremely well as a meet and greet to give your guests an initial wow factor!